At New Beginnings we are a reputable company that has been providing water damages, flooding, smoke damage clean up, mold remediation, odor control, fire restoration, sewage damage clean up and carpet restorations for more than two decades strong. Our technicians are professionally trained industry leaders in all phases of the restoration process. We are qualified to take on the biggest need of restorations for your building and belongings. Our technicians are prepared for any of your disaster restoration jobs. Call us with any flooding, water damages, fire smoke and soot damages and more that you may have at 866-287-0892. Storms, accidents, power surges, broken pipes, heavy rainfall, fire, crime scenes, trauma, power outages are all major things can cause a lot of detriment to your structure and its contents. At New Beginnings we have over two decades of restoration experiences. Our professional technicians are IICRC trained and certified. We will respond quickly and provide proper safety measures and meet all requirements to code. We have of the latest technology and professional grade high powered equipment. Our dispatchers are on call 24 hours a day at 866-287-0892. At New Beginnings we use thermal imaging to detect any hidden damages inside your structure. We place high powered air movers throughout the structure to detect any moisture that was left behind. When the structure completely dries we then begin demolition of rotted, mold covered or water damaged materials. 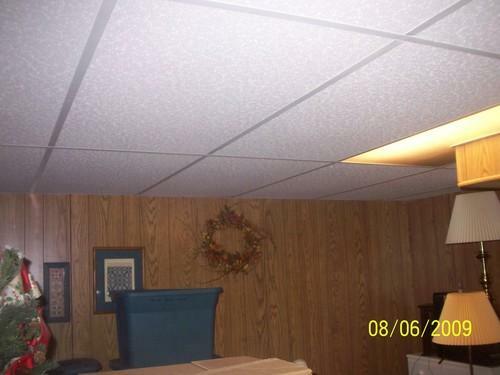 we will replace any drywall, wood or ceiling panels that have been removed due to damage. Our crew members will reconstruct and replace what is not salvageable. Our goal is to provide a start to finish project in a timely matter restoration of all structures are completed with a 100% satisfaction to you. We have a trained staff on stand by to take your call 24/7 @866-287-0892. Prevention is key when dealing with any disaster, always keep your important papers in a safe water sealed container above ground level will help save your documents. Remember before a storm, put away any and all lawn equipment that the wind may blow into your windows or building. Always replace loose or uplifted shingles. Always have a plan in place before you experience any catastrophe. Our trained staff are always available for you call 24/7/365 @ 866-287-0892. Rest assured that the staff at New Beginnings will work with you and your insurance company. 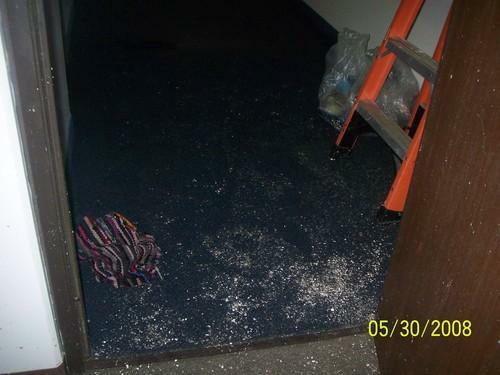 We can restore the smallest stained carpeting to a devastating commercial fire restoration job. There is no restoration job we cannot do. Our service include water and flood damages, wind damage, restoration, fire and smoke clean up, mold remediation and clean up, trauma clean up services, odor removal, crime scene restoration, reconstruction, carpet cleaning and restoration and complete contents restoration. The sooner you contact us the quicker our response time will be. Avoiding secondary damages is always first and foremost to keep things to the minimum. The technicians are on call now 24/7 @ 866-287-0892. Our trained technicians at New Beginnings specialize in cleaning and restoring any damages you are currently suffering from. We will perform the best restoration service and will complete your project needs in a reasonable time frame because we know how important these problems can be. Call us 24/7 365 days are year, because disaster can happen at anytime.